The names of Scotland’s World War One fallen will illuminate the Scottish Parliament as a mark of respect on the 100th anniversary of the end of the Great War. This Sunday, Scotland will join countries around the world in marking 100 years since the end of World War One. Known as ‘the Great War’ or ‘the war to end all wars’, the war led to the mobilisation of more than 70 million military personnel, resulting in one of the deadliest conflicts in all human history. Each year, people around the world come together on 11 November – the date the war ended – to pay their respects to those who made the ultimate sacrifice. 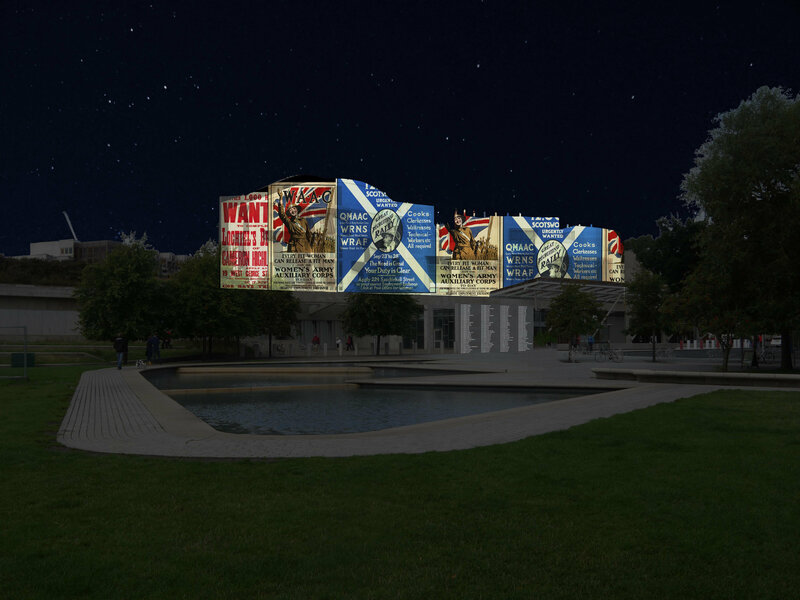 This year, a special display will be projected onto the Scottish Parliament in Edinburgh. The projection will list the names of every single person who died serving on behalf of Scotland during World War One. This unique illumination will honour the names of tens of thousands of men and women listed in Scotland’s National War Memorial Roll of Honour. This means that it won’t just be Scotland’s brave servicemen who are honoured. Joining them will be the names of the nurses, munitions factory workers, Merchant Navy personnel, and overseas servicemen who fought on behalf of Scotland. The event will also be open to the public, allowing anyone the opportunity to visit and pay their respects. 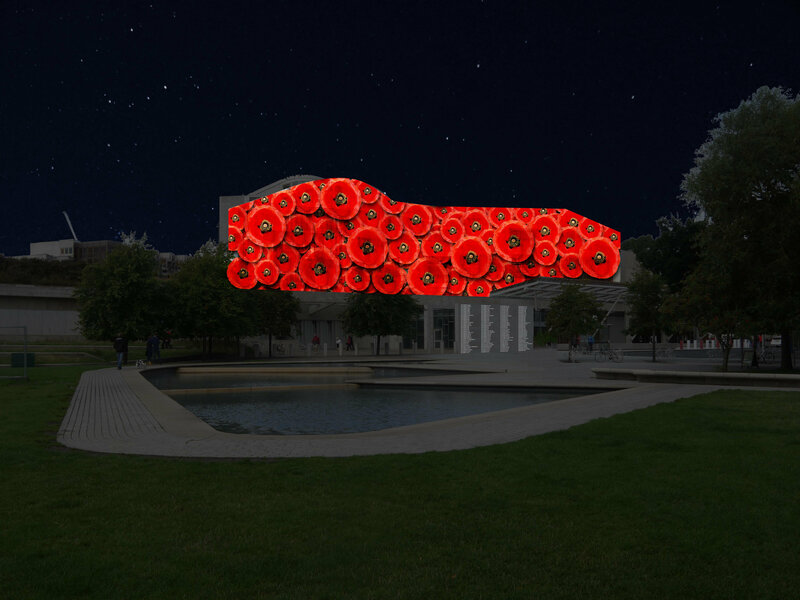 The projection, which is designed by award-winning artist, Ross Ashton, whose credits include the FIFA World Cup and Queen Elizabeth II’s Golden Jubilee, is called THEIR NAME LIVETH. Its creation is thanks to a partnership between the Scottish Parliament, the Scottish National War Memorial and the Royal Edinburgh Military Tattoo. “Behind every name projected onto the Parliament on 11 November 2018 is a story of a son, a daughter, a father, a husband. 100 years on, it is our duty and honour to remember them and what they gave their lives for. Lest We Forget”. Beginning at 5pm, the projection will feature the names in alphabetic order, with each name appearing on the building for approximately 10 seconds. The display will also be accompanied by a musical score that was specially selected for the occasion. Incredibly, this means that it will take seven hours to show every name, highlighting the sheer scale of loss that this generation experienced. In total 134,712 names will be displayed, alongside images and designs that will tell the story of the conflict. The event will end at midnight, when the Last Post will be played – which is traditionally played on Remembrance Day to signal the end of the day. Details of the timings of each name will also be released ahead of the projection on the Parliament’s official website. This will allow family members and descendants who wish to attend to see a family member’s name the opportunity to ensure they’re there at the right time. This is of course just one of a number of special events happening across the country to mark this occasion. You can find out more about other events by visiting WW100 Scotland.